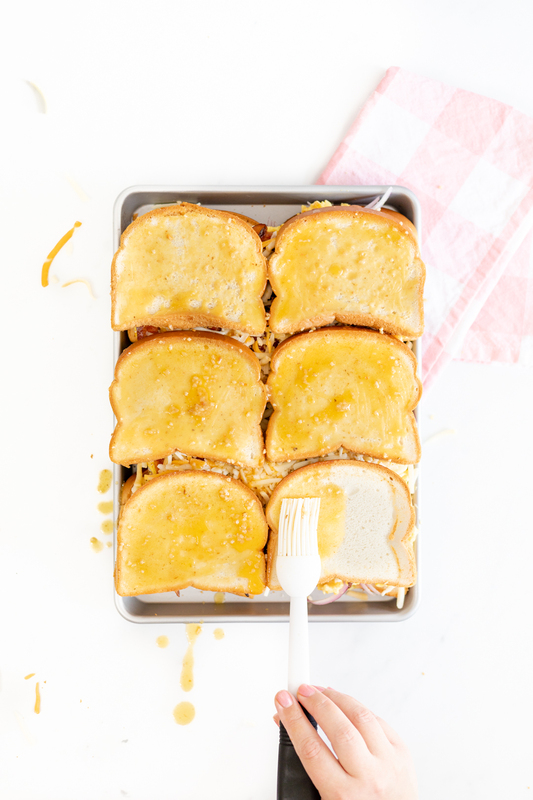 Eating gluten free just got a lot tastier with these easy to make Gluten Free Breakfast Sliders! 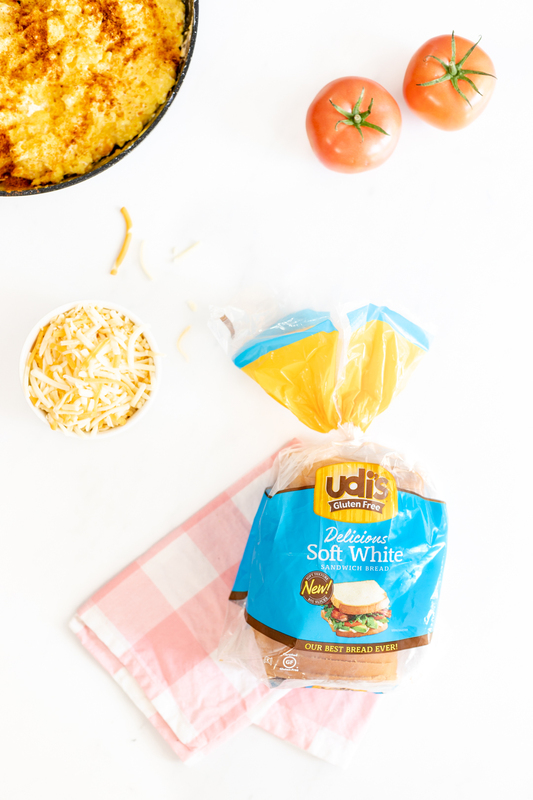 Enjoying a gluten free sandwich is a breeze thanks to Udi’s® Gluten Free Delicious Soft White Sandwich Bread. Total game changer! 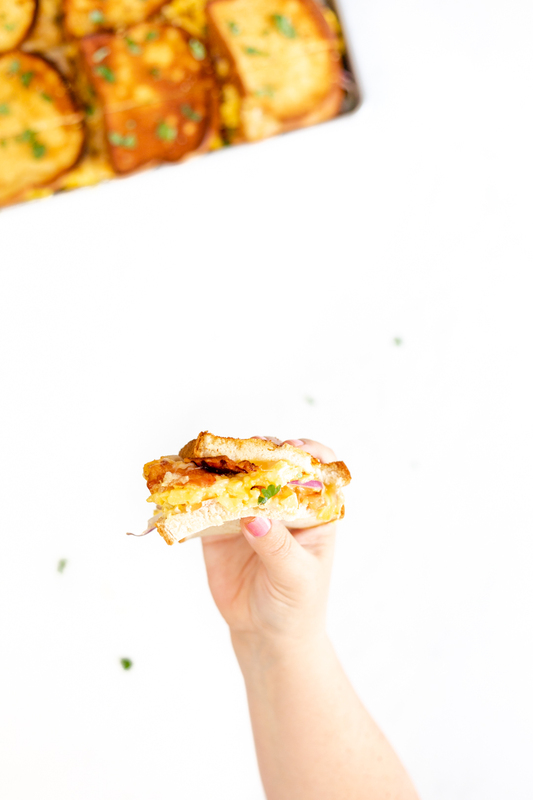 This breakfast sandwich is full of delicious, carefully picked ingredients to make waking up extra fun. With a flair of Mexican inspired flavors and ingredients, you’ll fall in love fast. The need for people to eat gluten free is pretty widespread nowadays for a variety of reasons. My mother discovered that she had a gluten intolerance back during the time we were living with her, so thinking outside of the box and getting a little creative when we’re eating together has been a must. With experience, and a little know-how, it’s possible to find work-arounds that are just as delish as the original versions you may have grown to love. Insert Udi’s products here. With their perfectly sized bread slices and soft texture, it’s a welcome delicious flavor. 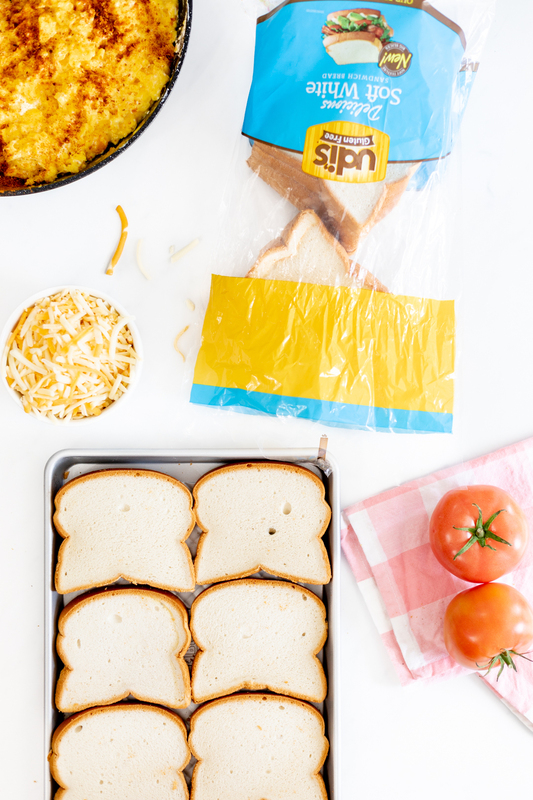 With their 24 oz loaves offering 30% larger slices, you can create all types of yummy, hearty sandwiches, tasty toast, or other great recipes. It’s a total bonus that we can find Udi’s in the frozen/gluten free section at my local Publix. Check out the current coupon offering here. To make this yummy hand-held breakfast, we’ll start by making the creamiest Mexican scrambled eggs with cream cheese. 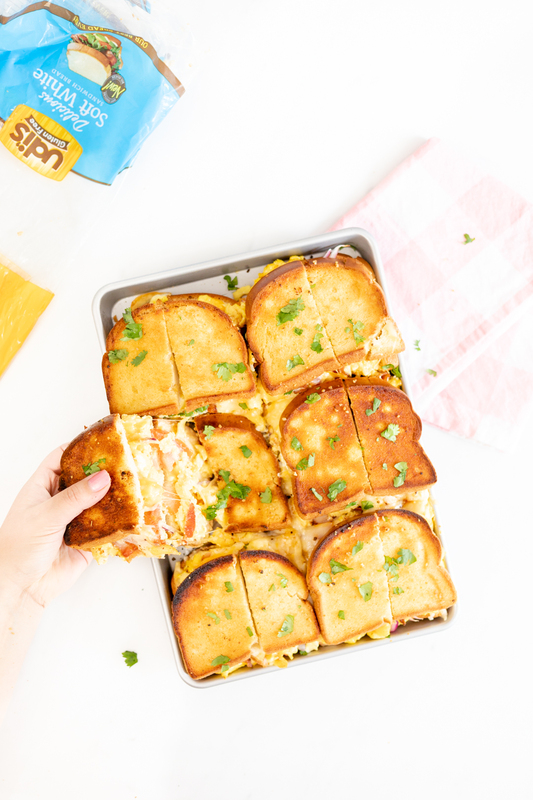 Then, we will stack our sliders high and top with my quick fiesta garlic butter for good measure before sticking in the oven to melt the cheese and turn to a golden toast. Feeling hungry yet? Me too! Let me show you how to whip up the perfect gluten free breakfast. 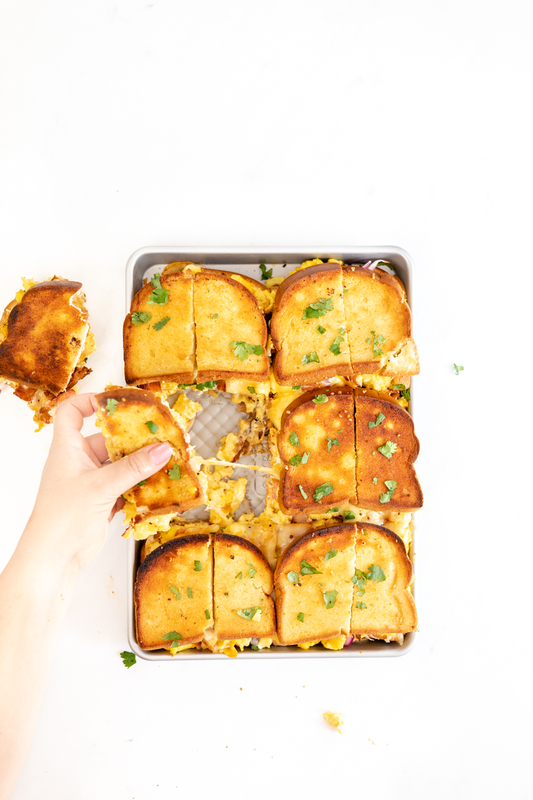 To make scrambled eggs for the perfect sandwich, we’ll cook them nice and slow and then add cream cheese for that amazing creamy pop. You’ll need a dozen large eggs, 4 oz. of cream cheese, as well as salt and pepper to taste. Then, to finish off, we’ll sprinkle in a bit of gluten free taco seasoning for a burst of flavor. 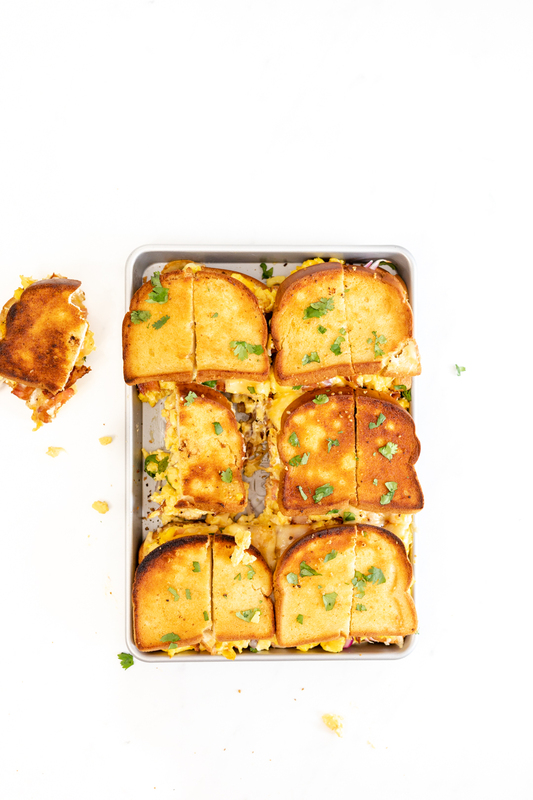 Once the eggs are ready, we can start assembling these dreamy sandwiches. You’ll need a small non-stick baking sheet or casserole dish that can hold six slices of Udi’s bread to start preparing them. Then, spread your creamy scrambled eggs over the top of the veggies. 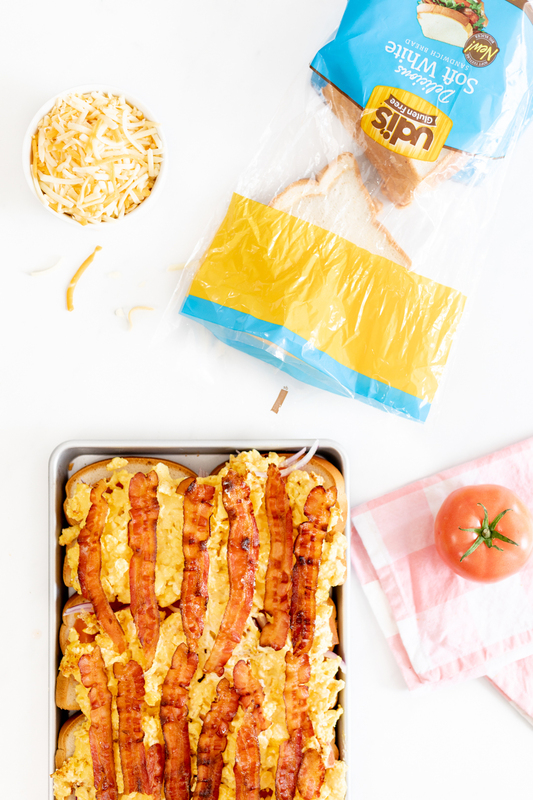 Layer on the cooked bacon slices. 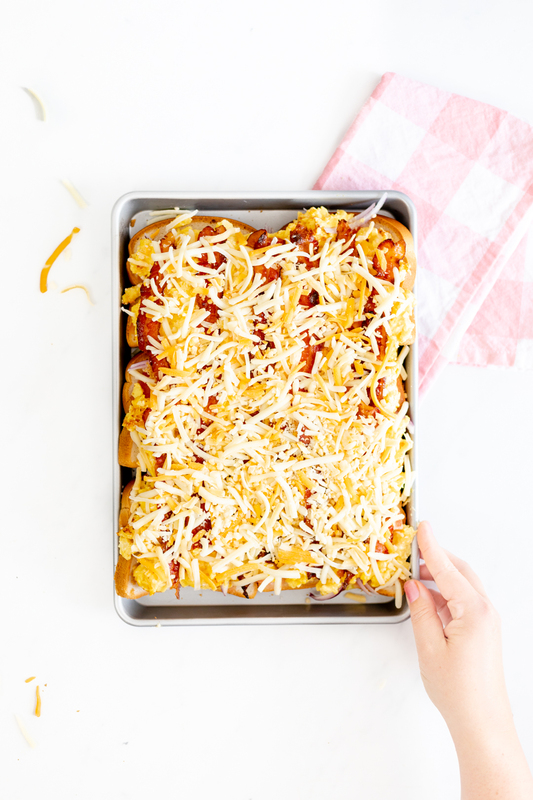 For the final layer, add shredded cheese over the top. Place 6 more slices on top of the sandwich piles. As a final delicious touch, whip up some of my Fiesta Garlic Butter which is simply melted butter, minced garlic and a little gluten free taco seasoning. Spread this generously over the top of the sandwiches. Set your oven on low broil and cover the pan of sandwiches tightly with foil. Put in the oven for 15-20 minutes until the cheese has started to melt. Then, remove the foil and allow to toast for an additional 3-5 minutes until you’ve reached the perfect toasty golden color. 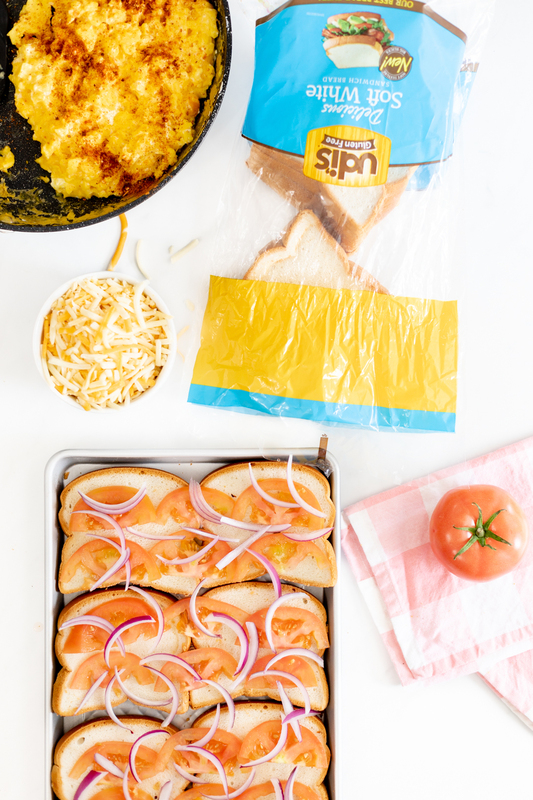 Let cool, slice into 12 toasty sliders, and get ready to serve up. You’re one bite away from realizing how scrumptious gluten free eating can be. 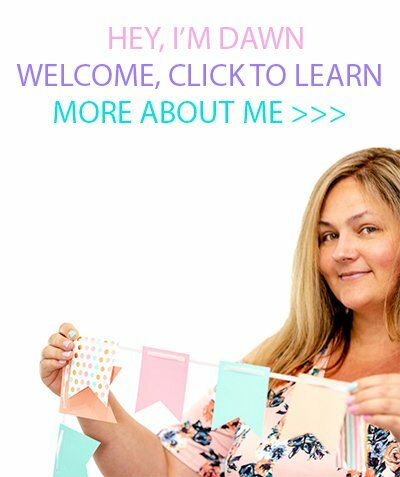 What to know? Udi’s Gluten Free Soft White and Multigrain breads are certified gluten free, dairy and nut free and have 8 grams of whole grains per serving, plus other vitamins and minerals. Shop for Udi’s products at Publix. They make the perfect gluten free solution and offer a variety of baked goods and snack options to ensure there is something for everyone. From 1/6/19 – 3/10/19 (while supplies last), you can save $1.30 on Udi’s Gluten Free bread at Publix. 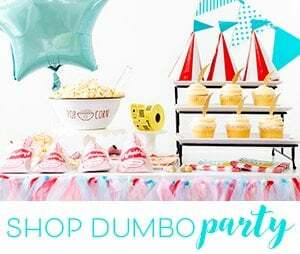 Click here for savings and make sure to redeem by 3/24/19!